Are You a Sugar Slave? We hate spam as much as you do so we won't sell, share or trade your name. Ever. If you're an author, one of the best ways to alert people to your wonderful information is to host teleseminars. I invite you now to read this great article from Alicia Dunams, who helps CEOs, business owners, and service professionals attract clients, establish industry expertise, and build profits by making them bestselling authors. Her clients have appeared on national media outlets such as 20/20, CNN, and on the cover of The New York Times – all because they leveraged their published books. On average, her clients add an additional 5 figures to their bottom line each year because they have added “published author” to their resume. Besides helping people write books, she helps them become Amazon.com bestsellers by utilizing social networking and Internet marketing techniques, as featured in her eBook, How to Become a Bestselling Author on Amazon.com. In fact, on Wednesday, May 30, I'll be attending Alicia's exciting Bestseller Book Party program in San Francisco. The idea is to help spread the word about my new book, Beyond Sugar Shock. I hope to meet some of you at this exciting event. 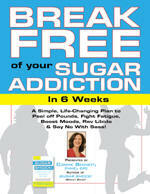 Speaking of teleseminars, for my Beyond Sugar Shock Book Launch, I'll be hosting a number of them. 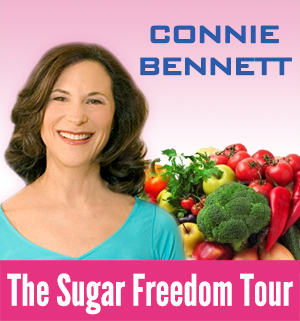 Go to the Beyond Sugar Shock Book Launch Schedule to get details. Again, learn more about teleseminars by reading Alicia's article here.